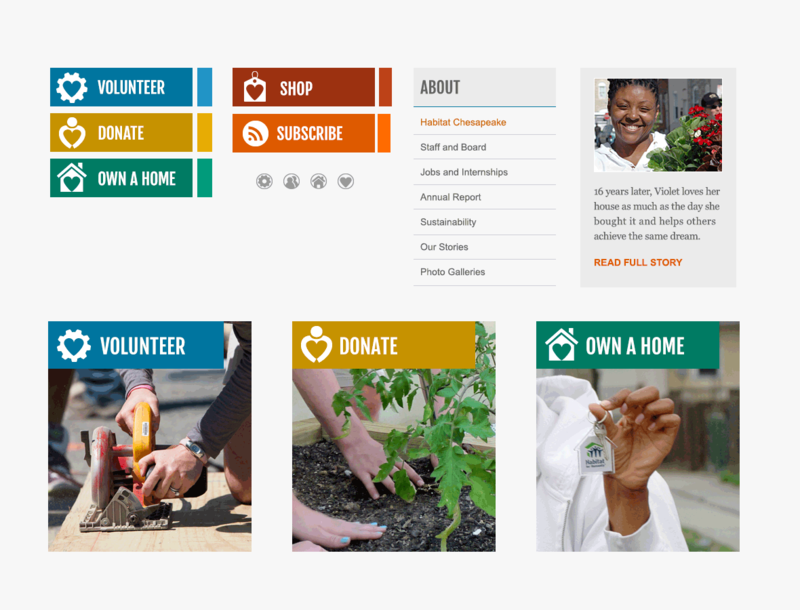 The challenge in redesigning the Habitat Chesapeake and ReStore websites was to provide a seamless branded user experience across both websites while creating an informative, easy-to-use, effective online communication tool that would allow greater interactivity and more meaningful engagement between the organization and its key stakeholder groups. Above all, the websites needed to make it easy for each user group to locate the information most relevant to it – and locate it quickly. 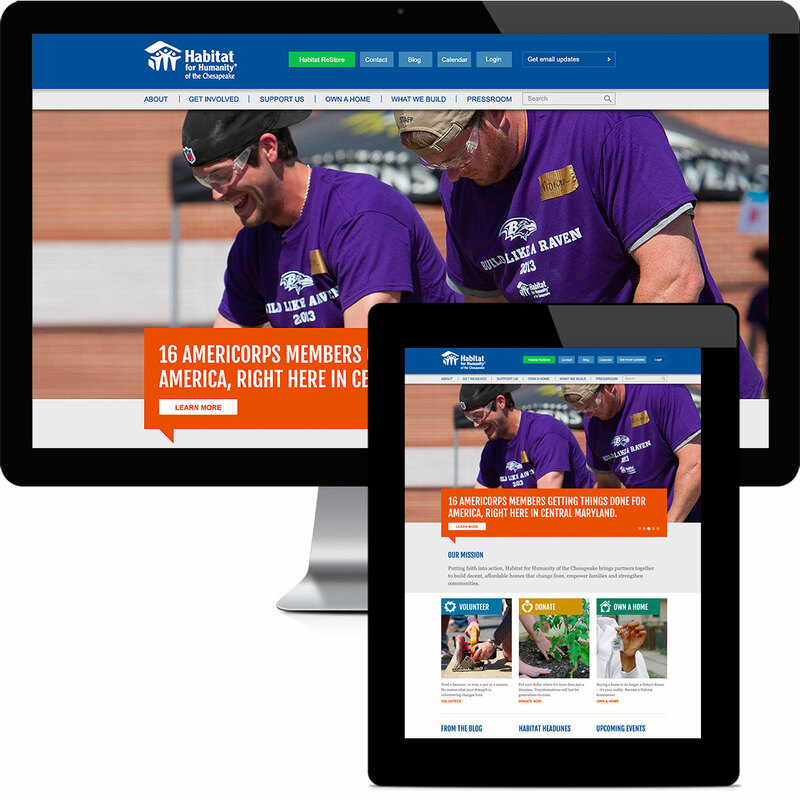 The new home pages provide three clear, color-coded gateways for volunteers, homeowners and donors, which also become calls to action and provide continuity throughout each website. 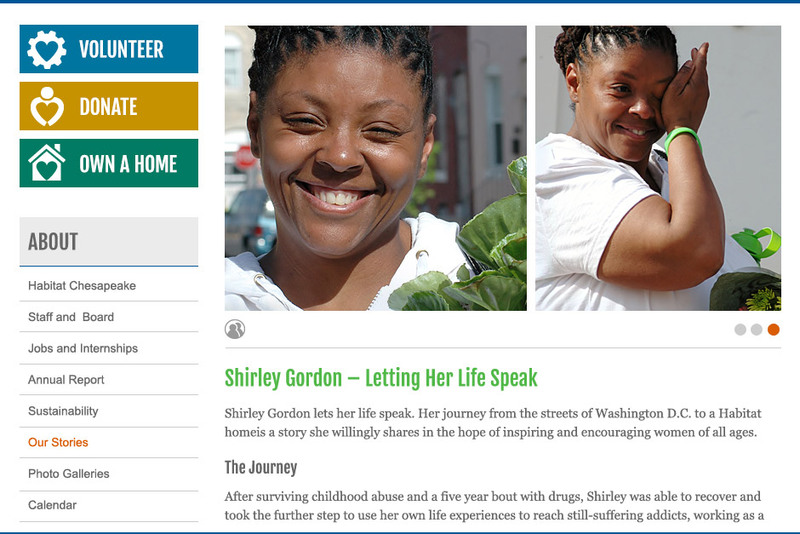 The design is clean, bold and compelling. 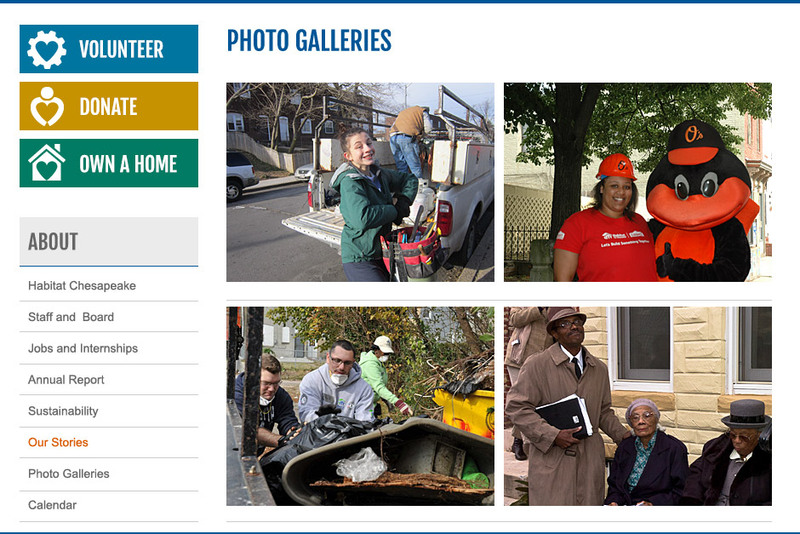 Large, impactful photographs and individual stories of volunteers, donors, staff and homeowners help to tell the overall story of Habitat Chesapeake’s impact. The website includes event management and calendar with filtering by event category, member management, fundraising, email marketing and marketing automation through HubSpot integration. From day one, Substance151 provided strategic insight that helped our marketing team successfully navigate through the complexities of the arduous web redesign process. The results: Substance151 delivered a compelling, engaging design that communicates our mission, engages our stakeholders and facilitates fundraising for our organization. The Substance151 team is as enjoyable and supportive as they are top-notch experts in their field.